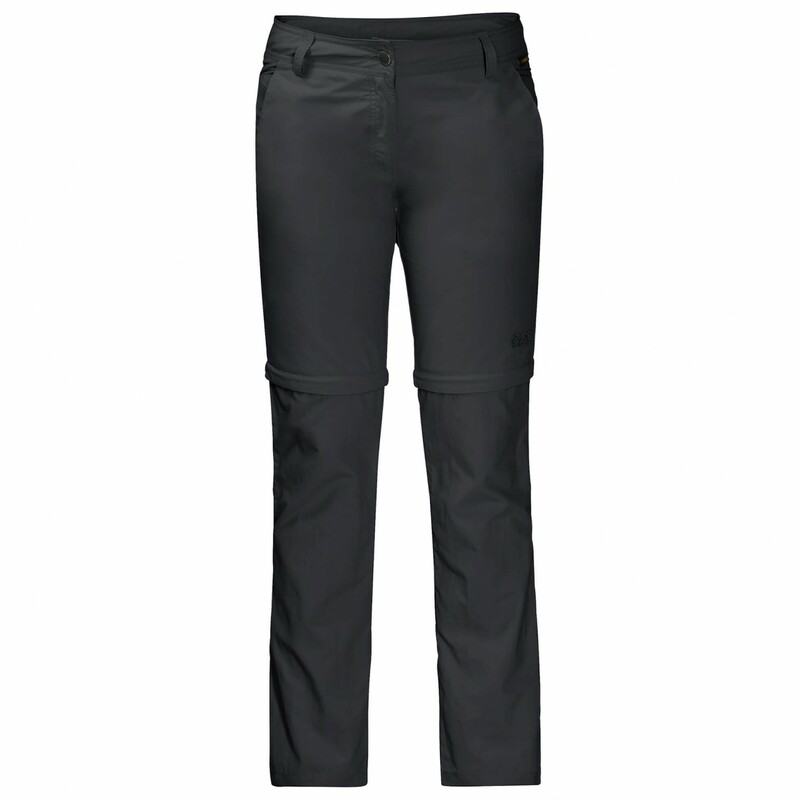 With the functional Women's Marrakech Zip Off Pants from Jack Wolfskin, youre guaranteed to be comfortable on the trails! 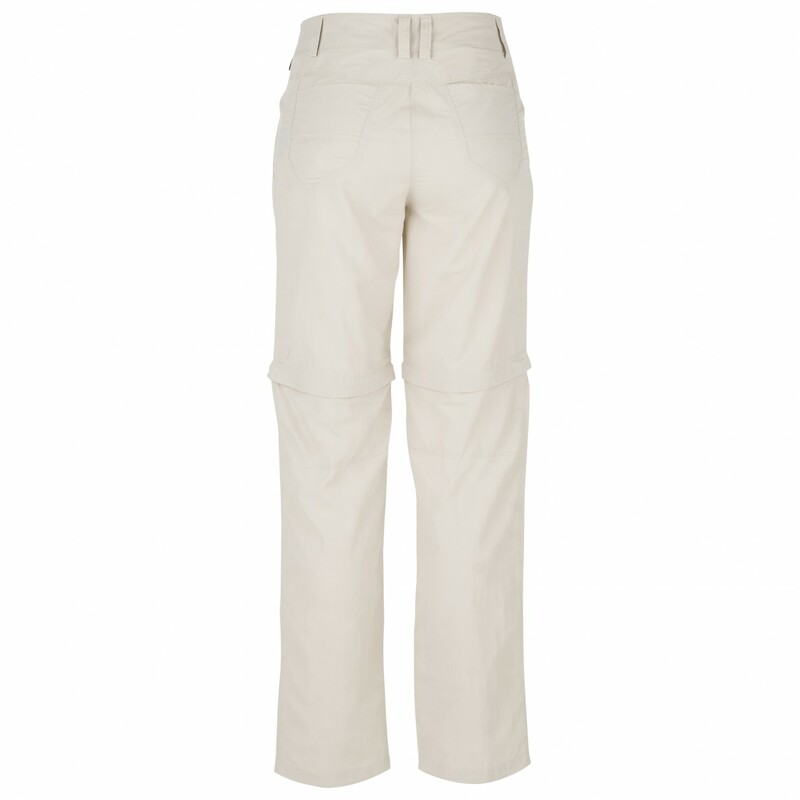 Equipped with Quick Moisture Control technology, these walking trousers will ensure that moisture is moved away from the body quickly and efficiently. Plus, the integrated UV protection will shield you from those harmful UV rays in the mountains. For freedom of movement, the knees are articulated as well. 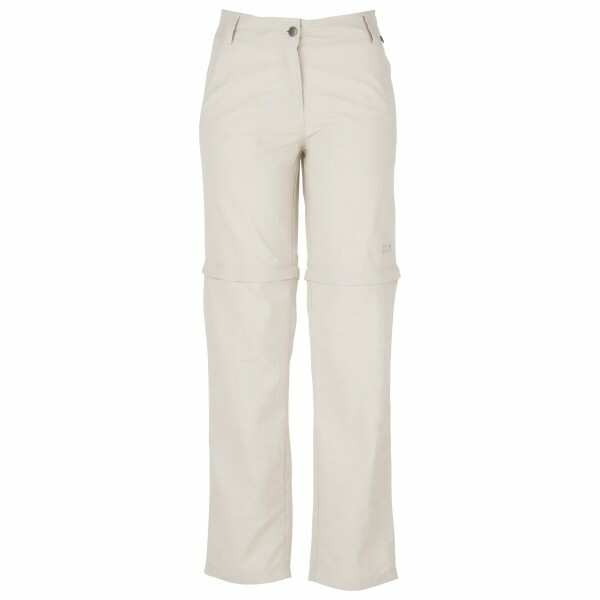 But, thats not all: You can convert the Women's Marrakech Zip Off Pants into shorts by zipping off the legs at the knee, giving you ultimate flexibility whilst walking or travelling. A versatile pair of trousers for warm weather and physically demanding outdoor activities: the Jack Wolfskin Women's Marrakech Zip Off Pants.